When you are on a tight budget and looking of the least expensive ways of altering your home to make it more stunning, you can go with mini-blinds also known as venetian blinds for your home remodeling. It can provide you the complete privacy you always wanted and protection from heat during summer as well as cold during rainy season. In addition, it can also add glamour to your home. 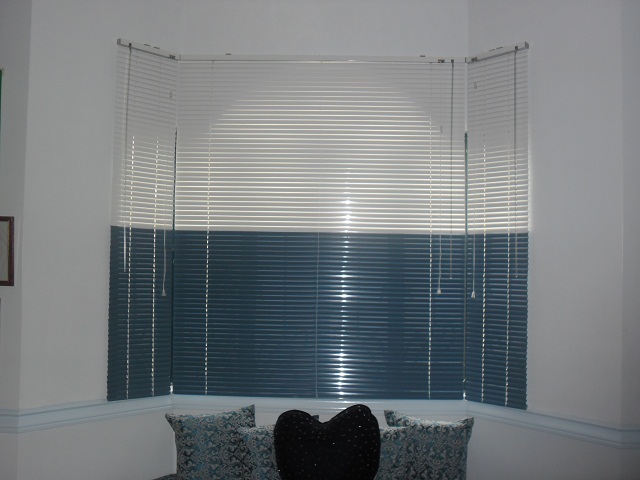 You can order multi-colored mini-blinds as you wish for we custom made it according to your specification. 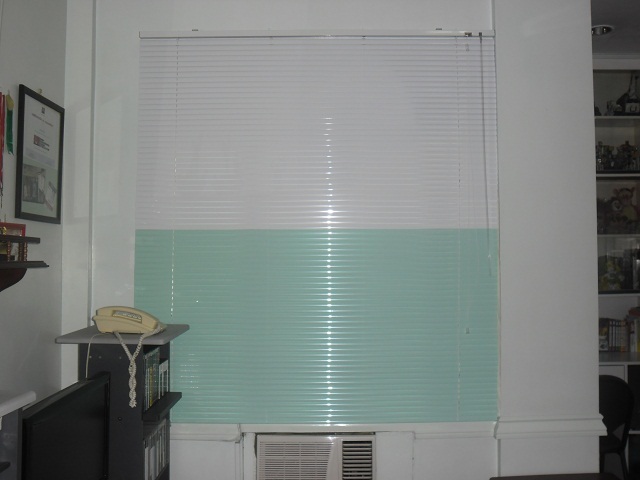 The photos are from our client from Parañaque City who opted for an equally divided two-color for her windows. We also customize different alternating colors, equally divided three-color, and many more. Through the use of a wand and a continuous corded loop, you can tilt its slats and raise or lower the entire stack of slats. To avoid slats impairment, ensure that slats are properly aligned prior to adjusting them. Installation can be very quick so you it can usually be installed yourself and for slats not to accumulate much dust, you can clean them as often as necessary. 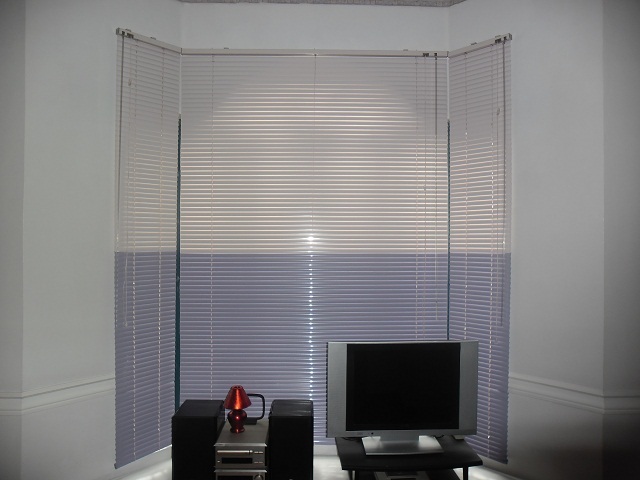 DS Windows & Walls mini-blinds are made up of aluminum which is more elegant and durable than vinyl and come in an array of color that will match to any room color and style. DS Windows and Walls’ offers FREE home consultations within Metro Manila. 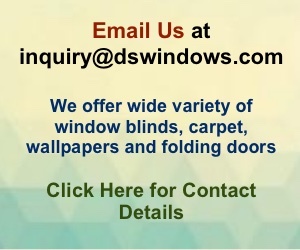 For further information, email us at inquiry@dswindows.com or call (02) 403-3262 / 0916-311-3909.